Hips Don’t Lie | Are You the Gatekeeper? This adventure is going to be VERY different from my last few adventures. In fact there are two adventures I’m looking forward to in the very near future. I know that I am less than three weeks past that stupid marathon. I also know that I am MISSING the routine, the gym, the outdoors. So. Adventures. 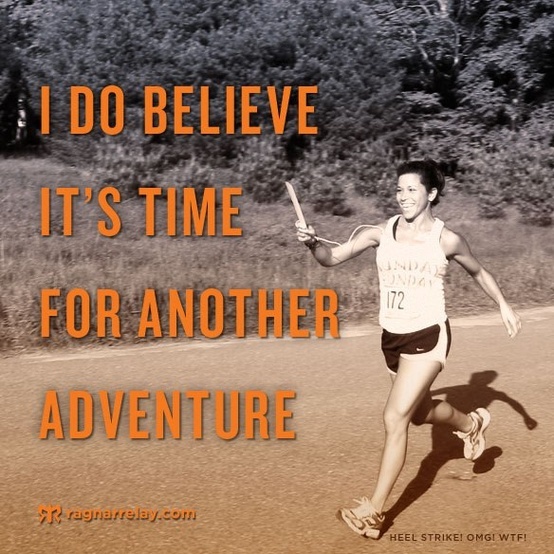 No, I’m not doing another Ragnar (even though I would say yes to one in a heartbeat). No, I’m not signing up for STL’s April half marathon (or the October one, for that matter). September 14. I’m already excited. However, there’s one more adventure I have to get through before I even consider training for something like this. Next Friday I have an appointment with an orthopedist who specializes in hip injuries. You see, I have had this stabbing pain in my left hip when I walk more than ~300 feet since the marathon. I’ve dealt with hip soreness before, but in my right hip and more of an ache than a stab. It’s not debilitating, and I don’t limp (much….or noticeably), but I am absolutely petrified to even try to run on it. I won’t even go lift with it like this. I am kind of scared as HELL about it. Best case scenario, I’m fine and just took longer to recover than I expected, so the doctor appointment will be a double-check. Worst case scenario, I’m heading for surgery. Surgery is absolutely not wanted, but at least April has recommended to me the guy she had hip surgery with a few years ago. One week. I’ll know in one week. This entry was posted in Running/Fitness, Surgery, Updates by Ann. Bookmark the permalink. How many miles is the Tough Mudder? It sounds grueling. Oh goodness…GL lady. I hope it's a simple fix, whatever the issue is. FX for you!!!! It took me a little bit to figure out what FX was. I got it though!! !